Predestination. Good works could not save those predestined for hell. No one could be certain of their spiritual status. Gnawing doubts led to constantly seeking signs of “conversion.” Puritans: Want to totally reform [purify] the Church of England. Grew impatient with the slow process of Protestant Reformation back in England. Puritans who believed only “visible saints” [those who could demonstrate in front of their fellow Puritans their elect status] should be admitted to church membership. Because the Church of England enrolled all the king’s subjects, Separatists felt they had to share churches with the “damned.” Therefore, they believed in a total break from the Church of England. Negotiated with the Virginia Company to settle in its jurisdiction. Non-Separatists included Captain Myles Standish. Plymouth Bay way outside the domain of the Virginia Company. Became squatters without legal right to land & specific authority to establish a govt. Written and signed before the Pilgrims disembarked from the ship. Not a constitution, but an agreement to form a crude govt. and submit to majority rule. Signed by 41 adult males. Led to adult male settlers meeting in assemblies to make laws in town meetings. between Puritan communities and God. 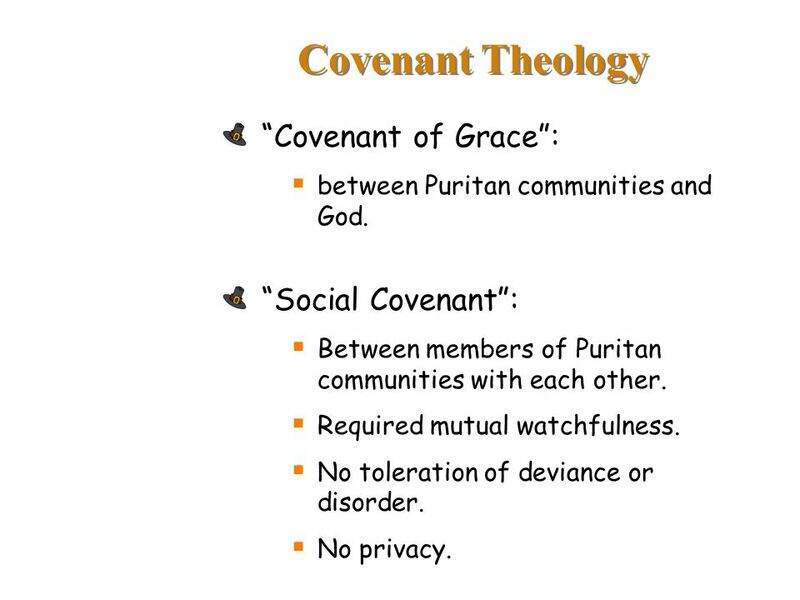 “Social Covenant”: Between members of Puritan communities with each other. Required mutual watchfulness. No toleration of deviance or disorder. No privacy. Only 44 out of the original 102 survived. 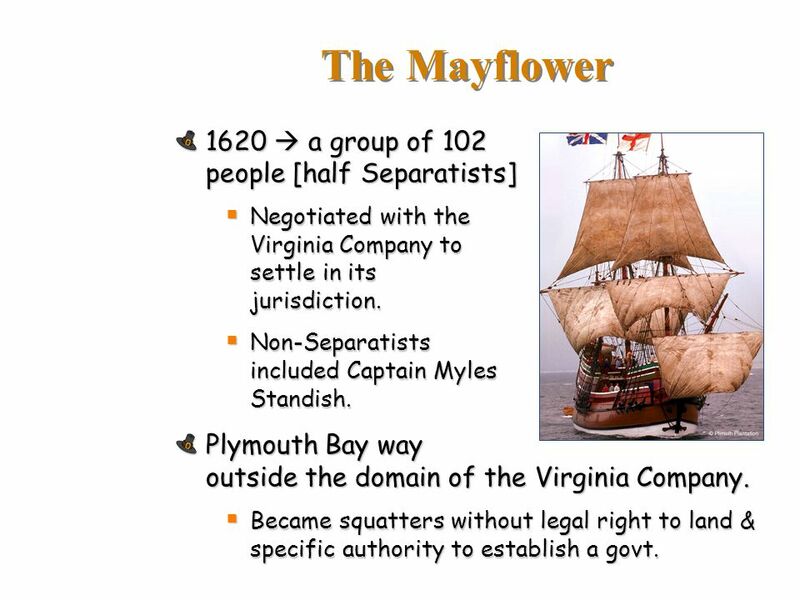 None chose to leave in 1621 when the Mayflower sailed back. 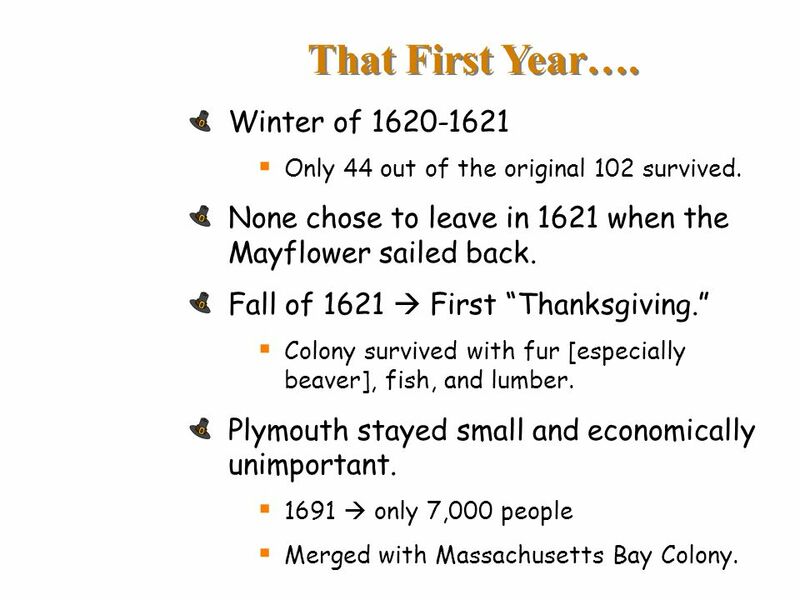 Fall of 1621  First “Thanksgiving.” Colony survived with fur [especially beaver], fish, and lumber. Plymouth stayed small and economically unimportant. 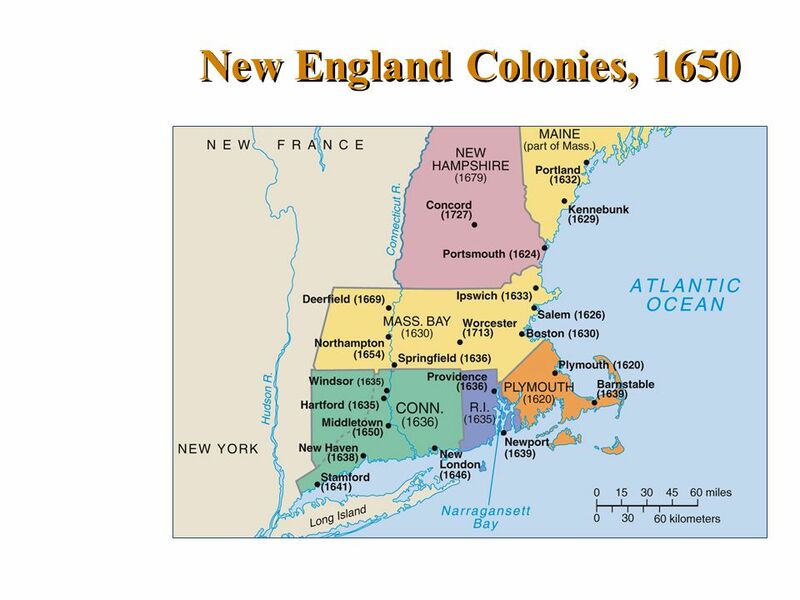 1691  only 7,000 people Merged with Massachusetts Bay Colony. 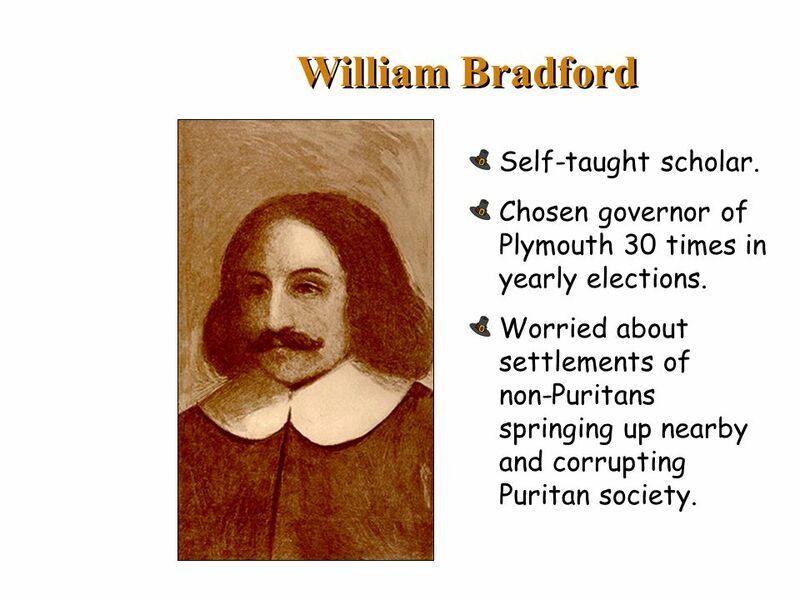 9 William Bradford Self-taught scholar. Chosen governor of Plymouth 30 times in yearly elections. Worried about settlements of non-Puritans springing up nearby and corrupting Puritan society. 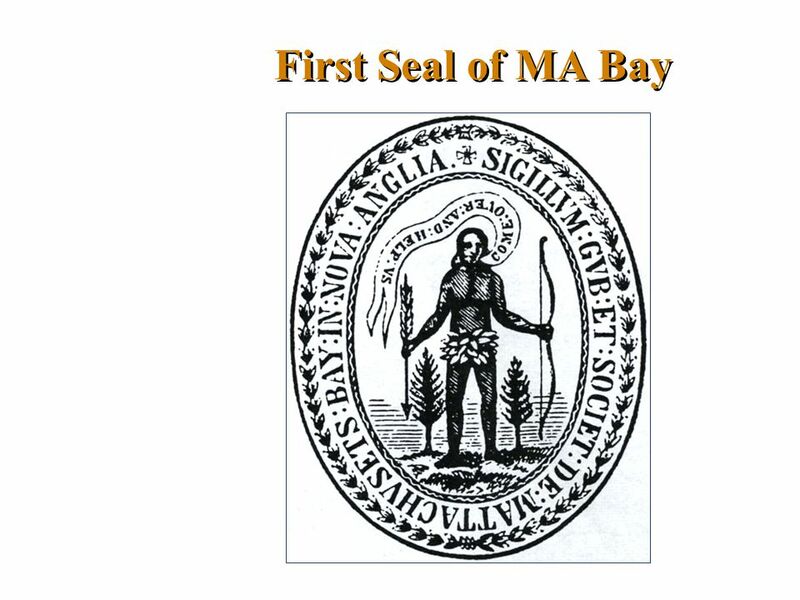 12 The MA Bay Colony 1629  non-Separatists got a royal charter to form the MA Bay Co. Wanted to escape attacks by conservatives in the Church of England. They didn’t want to leave the Church, just its “impurities.” 1630  1,000 people set off in 11 well-stocked ships Established a colony with Boston as its hub. “Great Migration” of the 1630s Turmoil in England [leading to the English Civil War] sent about 70,000 Puritans to America. 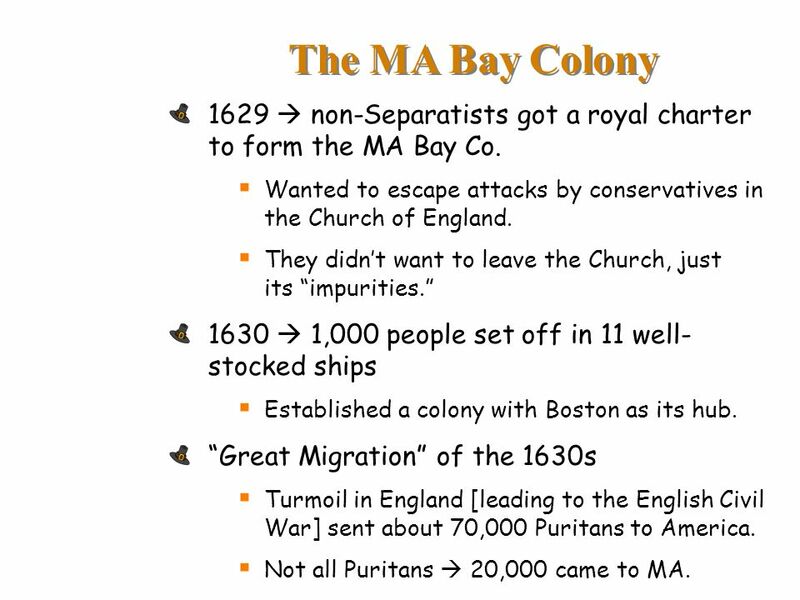 Not all Puritans  20,000 came to MA. 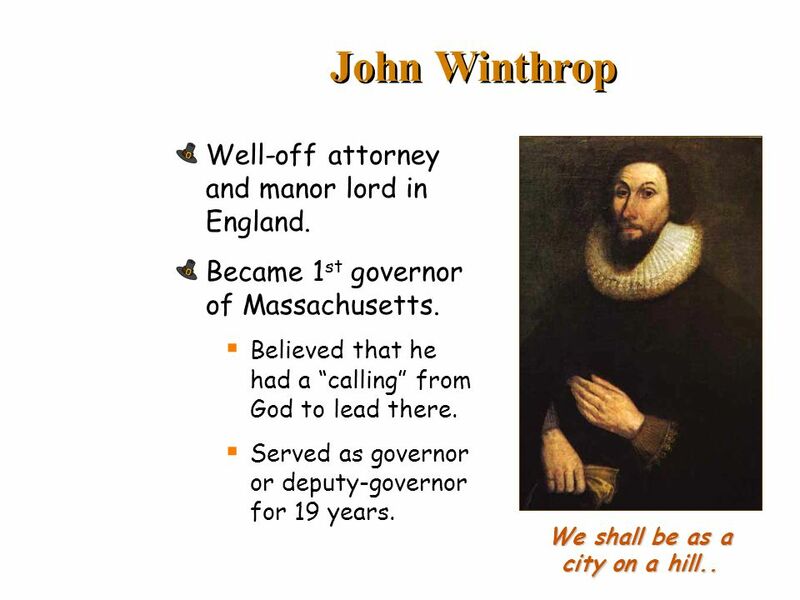 13 We shall be as a city on a hill..
John Winthrop Well-off attorney and manor lord in England. Became 1st governor of Massachusetts. Believed that he had a “calling” from God to lead there. Served as governor or deputy-governor for 19 years. We shall be as a city on a hill..
Low mortality  average life expectancy was 70 years of age. Many extended families. Average 6 children per family. Average age at marriage: Women – 22 years old Men – 27 years old. 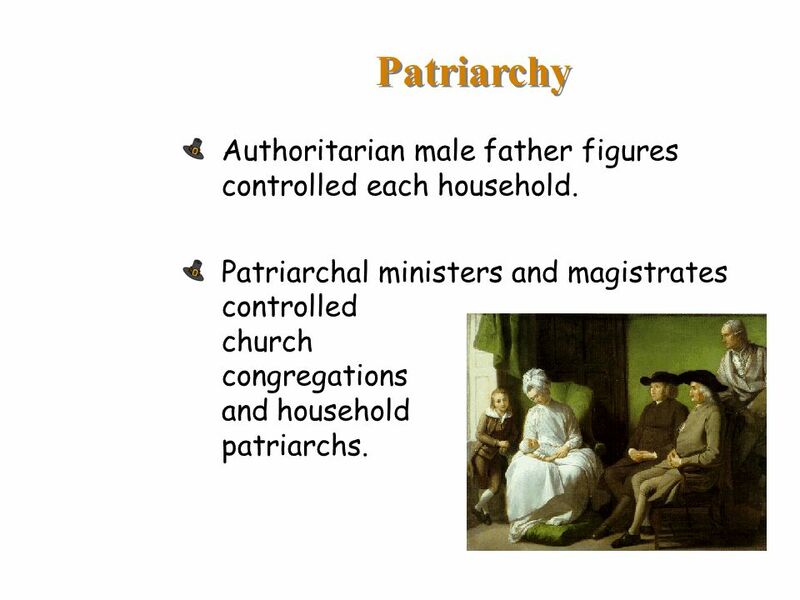 16 Patriarchy Authoritarian male father figures controlled each household. Patriarchal ministers and magistrates controlled church congregations and household patriarchs. 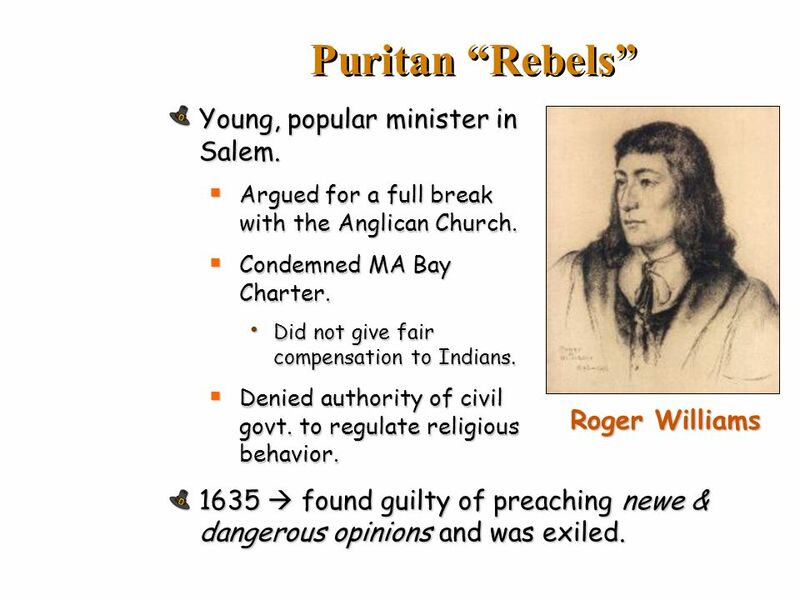 17 Puritan “Rebels” Young, popular minister in Salem. 18 Rhode Island 1636  Roger Williams fled there. 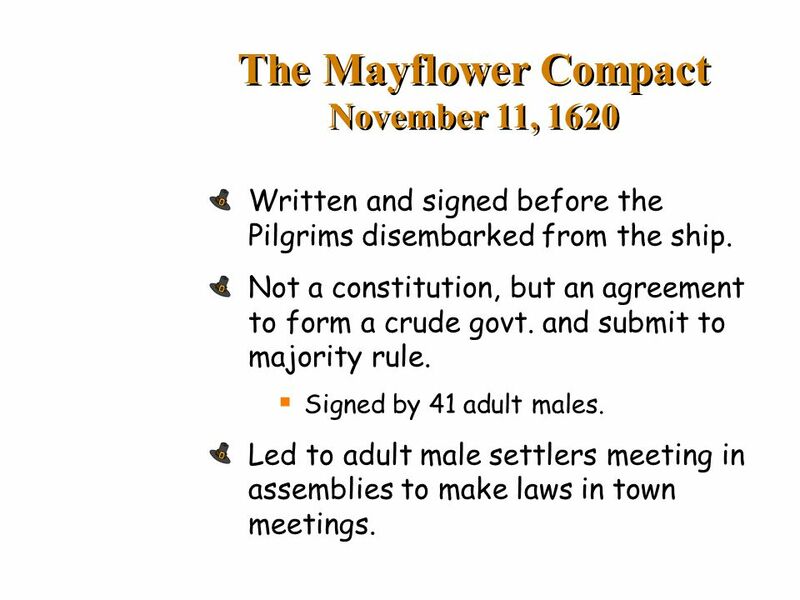 MA Bay Puritans had wanted to exile him to England to prevent him from founding a competing colony. Remarkable political freedom in Providence, RI Universal manhood suffrage  later restricted by a property qualification. Opposed to special privilege of any kind  freedom of opportunity for all. 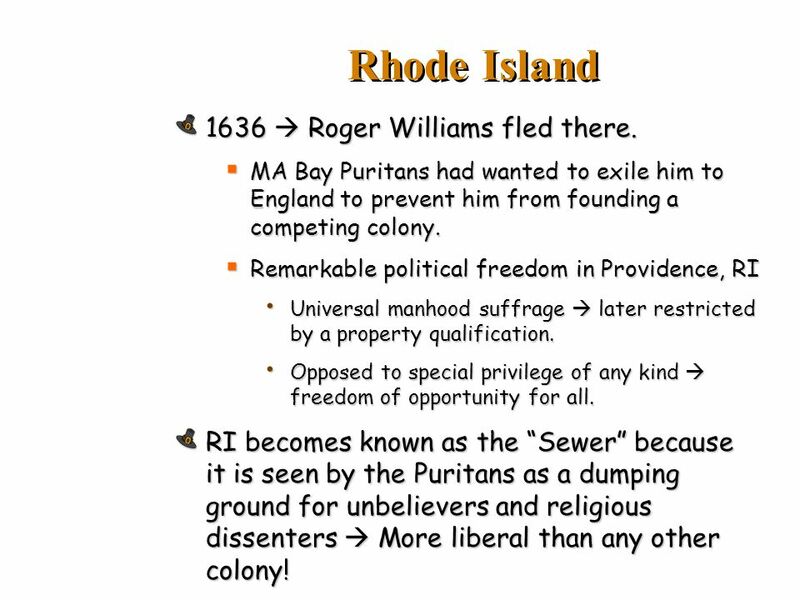 RI becomes known as the “Sewer” because it is seen by the Puritans as a dumping ground for unbelievers and religious dissenters  More liberal than any other colony! 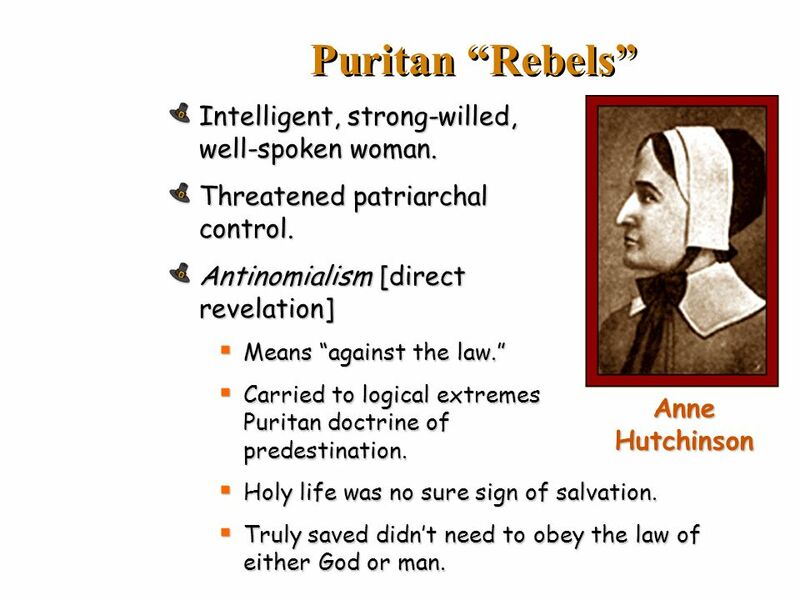 19 Puritan “Rebels” Intelligent, strong-willed, well-spoken woman. 1638  she confounded the Puritan leaders for days. Eventually bragged that she had received her beliefs DIRECTLY from God. Direct revelation was even more serious than the heresy of antinomianism. WHY?? 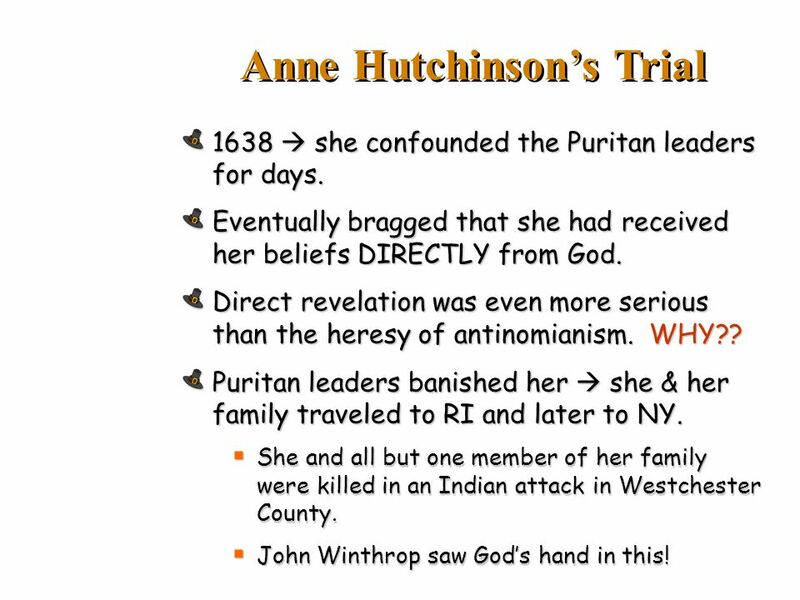 Puritan leaders banished her  she & her family traveled to RI and later to NY. She and all but one member of her family were killed in an Indian attack in Westchester County. John Winthrop saw God’s hand in this! 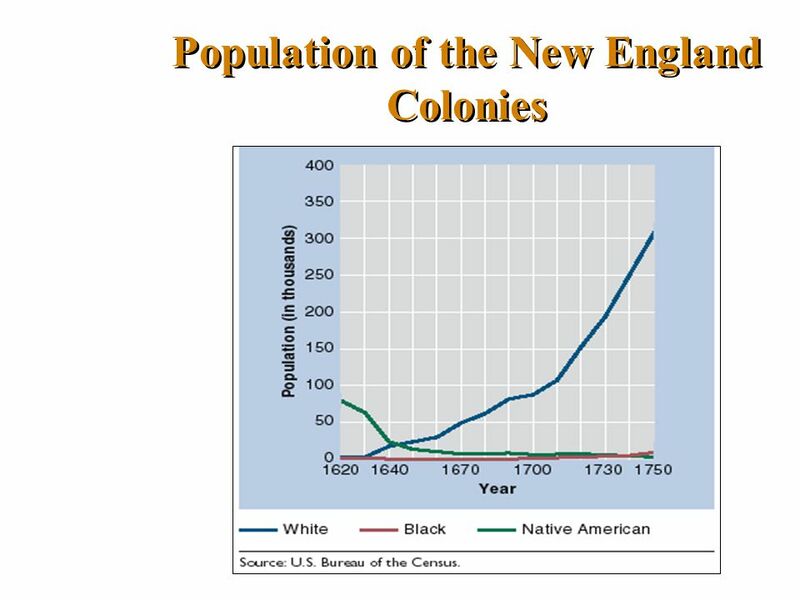 Indians especially weak in New England  epidemics wiped out ¾ of the native popul. Wampanoags [near Plymouth] befriended the settlers. Cooperation between the two helped by Squanto. 1621  Chief Massasoit signed treaty with the settlers. 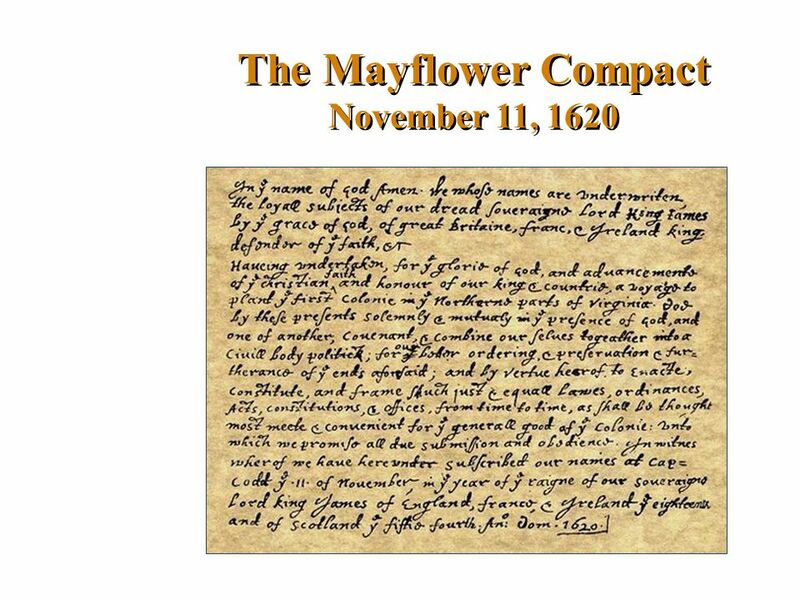 Autumn, 1621  both groups celebrated the First Thanksgiving. 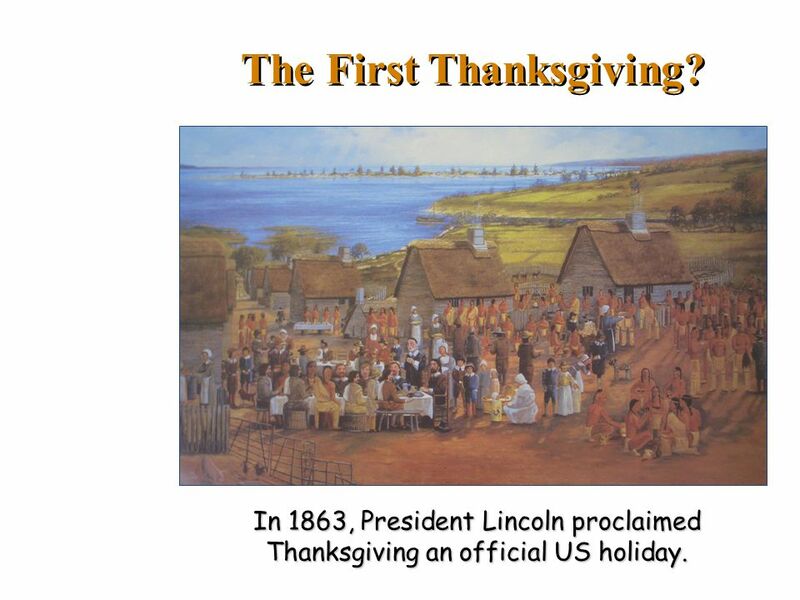 In 1863, President Lincoln proclaimed Thanksgiving an official US holiday. 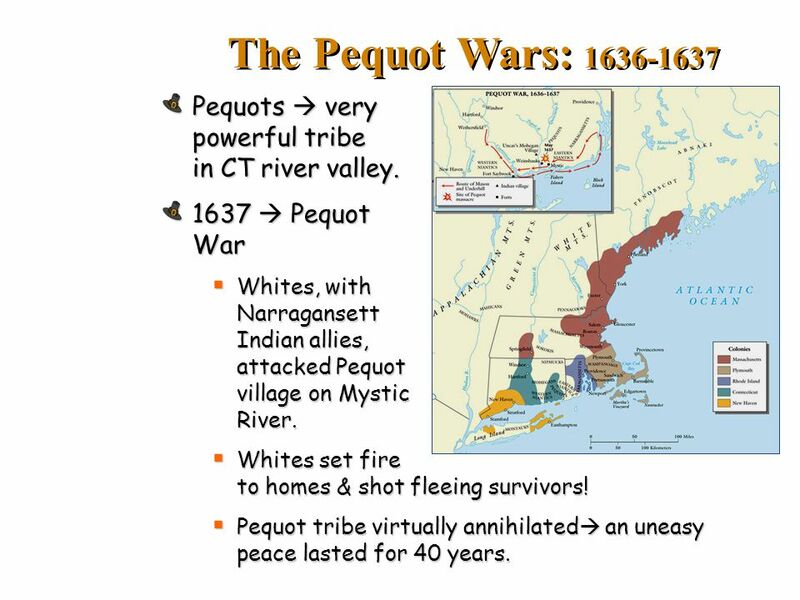 25 The Pequot Wars: Pequots  very powerful tribe in CT river valley. 1637  Pequot War Whites, with Narragansett Indian allies, attacked Pequot village on Mystic River. Whites set fire to homes & shot fleeing survivors! 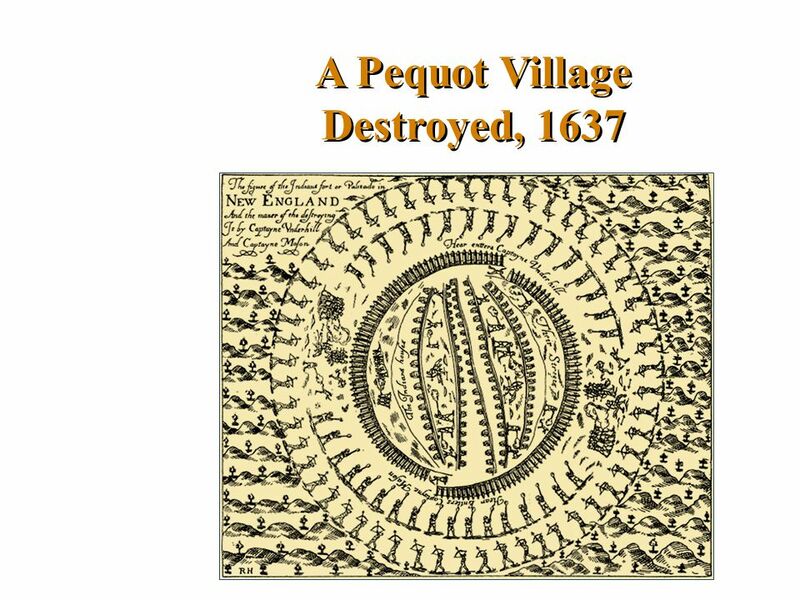 Pequot tribe virtually annihilated an uneasy peace lasted for 40 years. 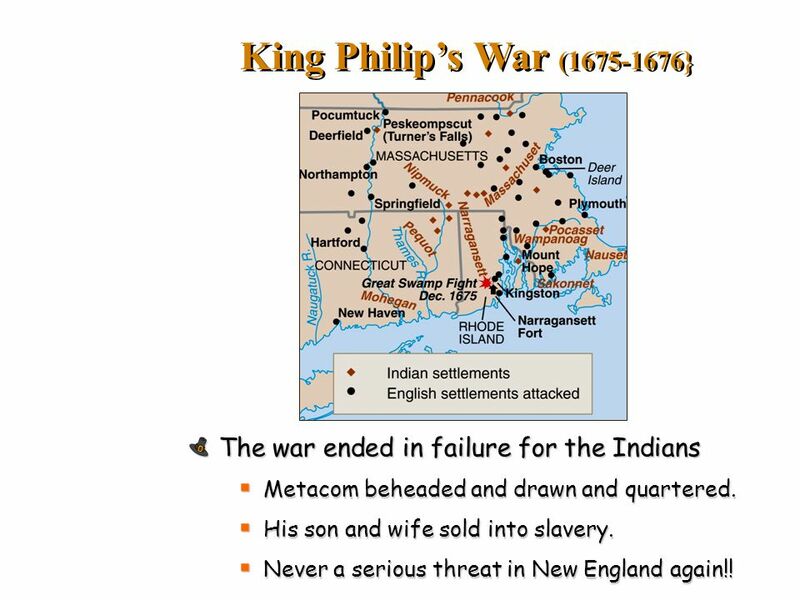 27 King Philip’s War ( } Only hope for Native Americans to resist white settlers was to UNITE. 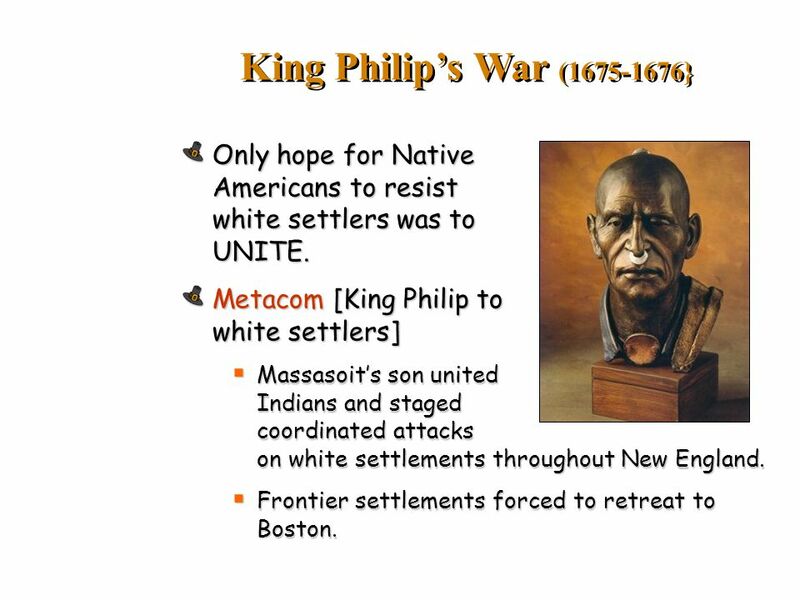 Metacom [King Philip to white settlers] Massasoit’s son united Indians and staged coordinated attacks on white settlements throughout New England. Frontier settlements forced to retreat to Boston. Metacom beheaded and drawn and quartered. His son and wife sold into slavery. Never a serious threat in New England again!! Download ppt "Separatists vs. Puritans." Religion in the Colonies. Maryland A royal charter was granted to George Calvert, Lord Baltimore, in A proprietary colony created in A healthier. 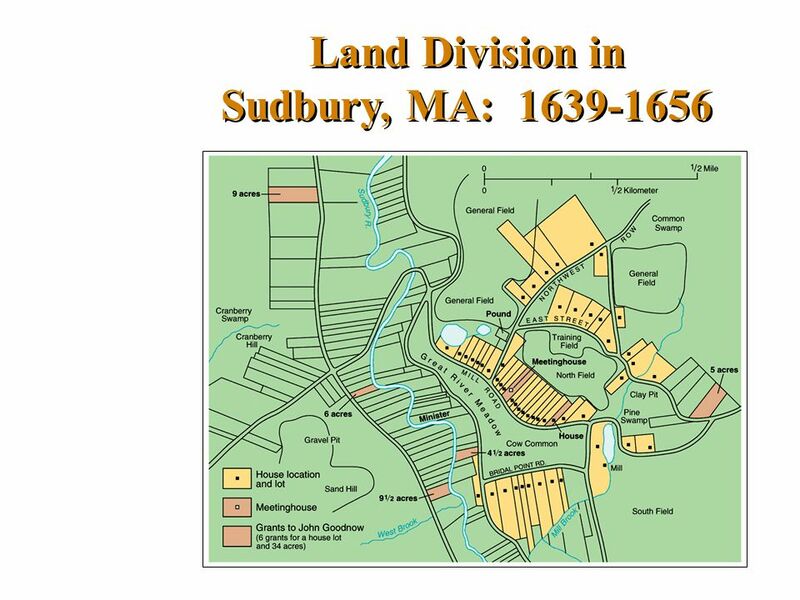 The Settlement of New England. 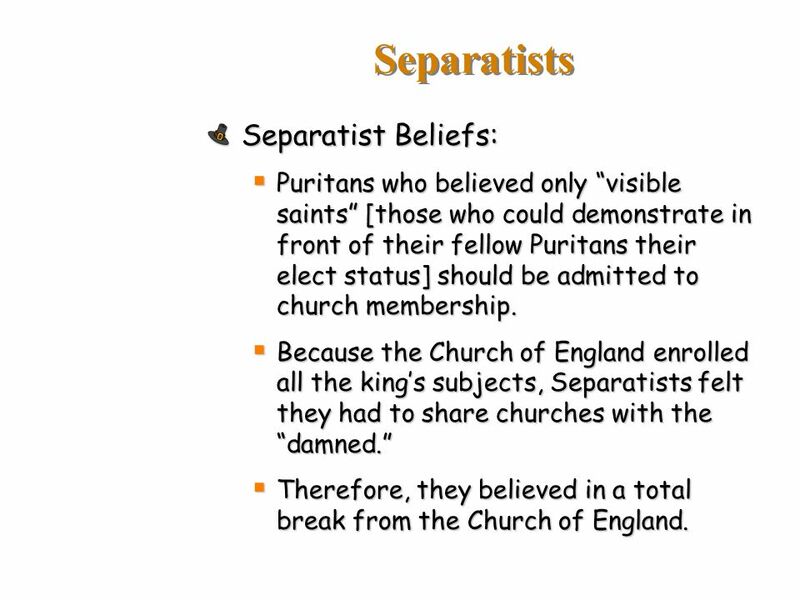 Separatists vs. Puritans. 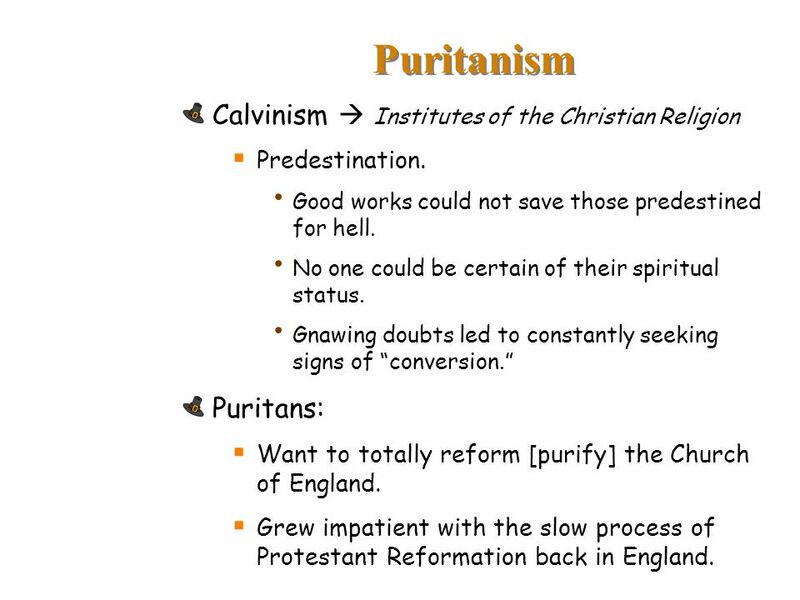 Puritanism Puritans:  Want to totally reform [purify] the Church of England. Do Now Take a worksheet and answer the question on your sheet. Objective: To discuss the reasons for the Puritan’s settlement in America and to examine their way of life. Do Now: Which of the following freedoms would. 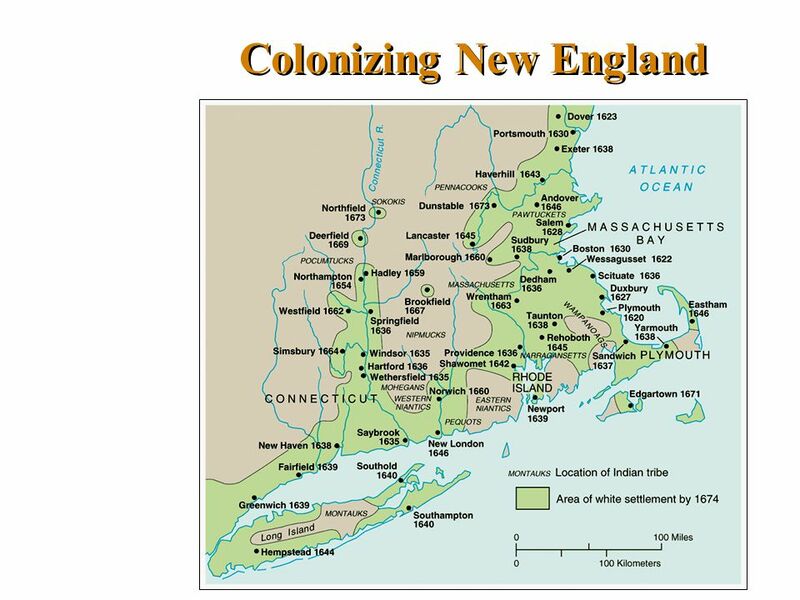 The Northern Colonies The Main Idea The pilgrims founded colonies in Massachusetts based on Puritan religious ideals, while dissent led to the founding. 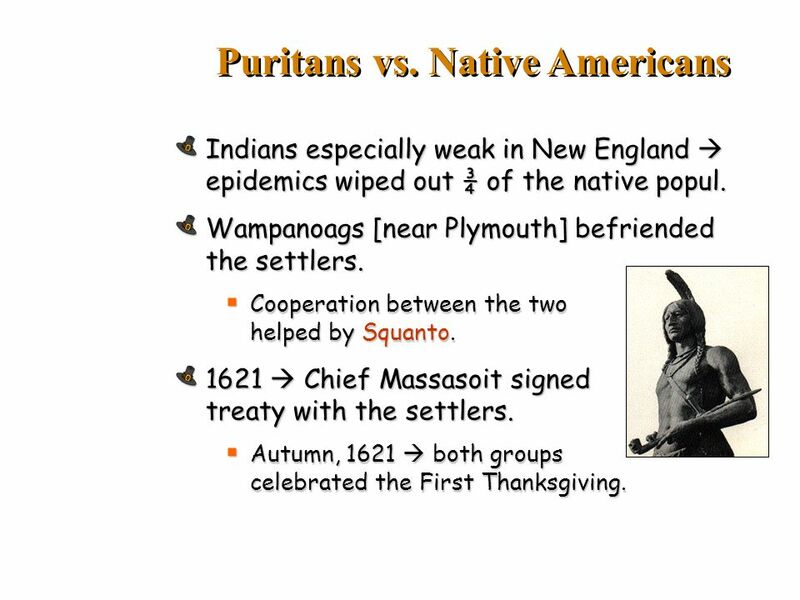 2.3 Puritan New England MAIN IDEA Religion influence the settlement and government of the New England colonies. 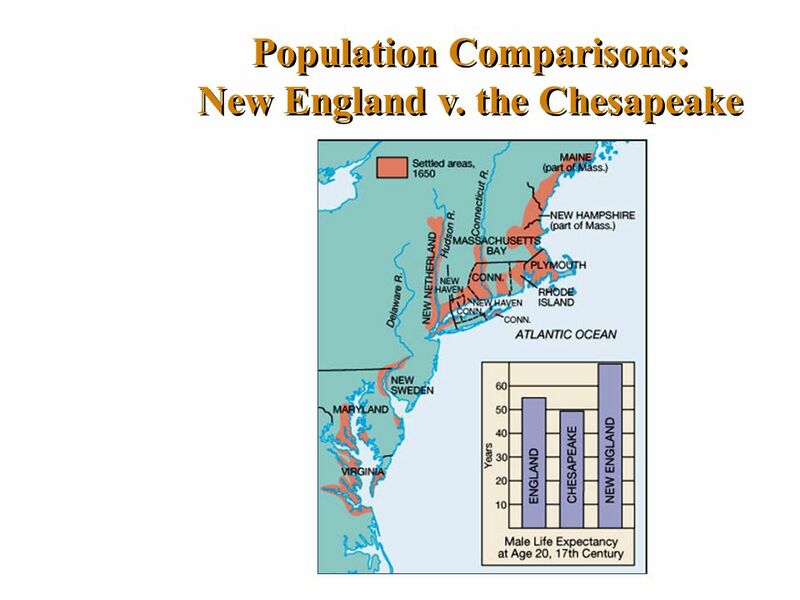 The New England Colonies In the early 1600’s the English were beginning new colonies along the Atlantic Coast in what is now the northeast region of the. 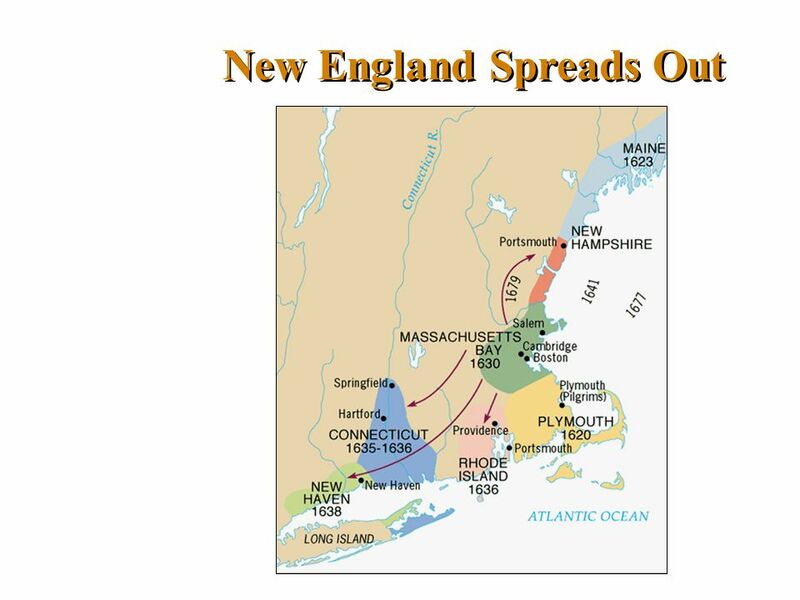 AIM: How were the New England colonies created? Persecuted-__________________ ____________________________ ____________________________ Religious tolerance- ____________________________ ____________________________. 1619 First Boatload of Africans arrived in Jamestown aboard a Dutch slaver (A million more black slaves had already been brought to the Spanish and Portuguese. Credit for some slides to Ms. Susan M. Pojer. 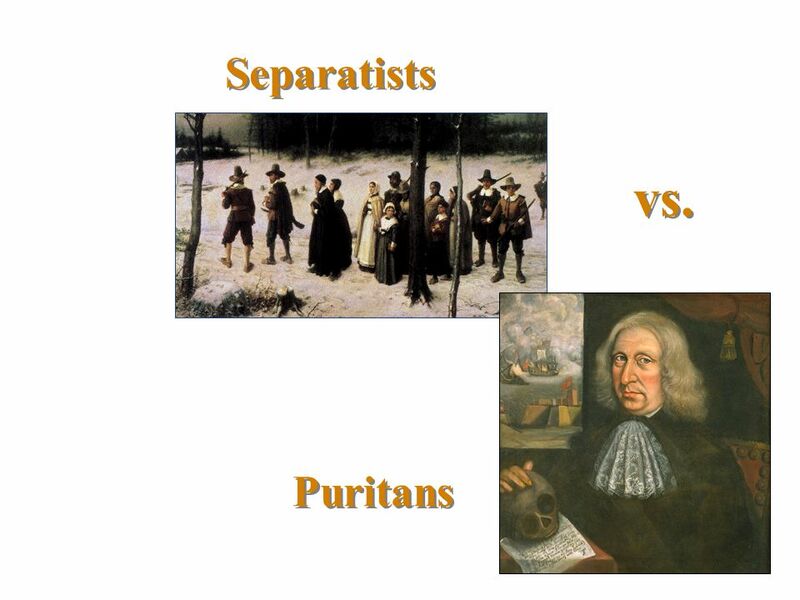 Separatists vs. Puritans. 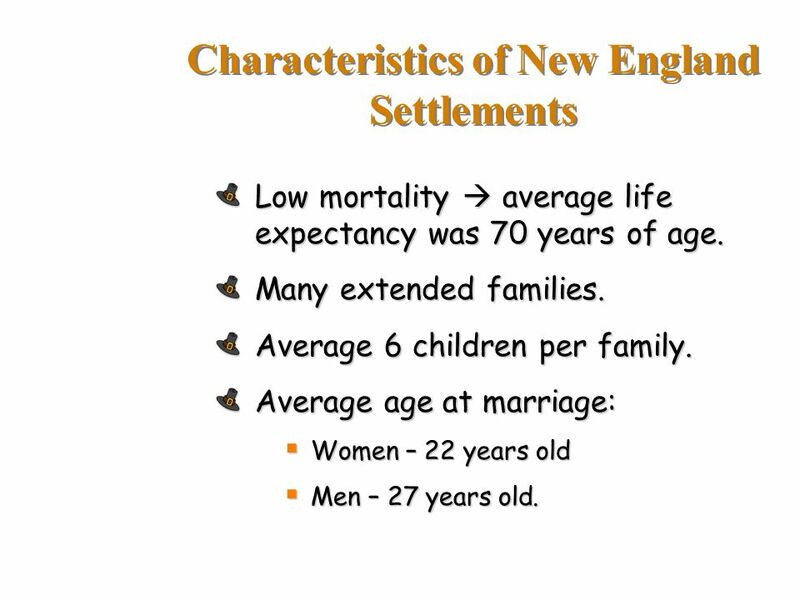 Describe the settlement of New England; include religious reasons, relations with Native Americans (e.g., King Phillip’s War), the establishment of town. Pilgrims? vs. Puritans? Sources of Puritan Migration.  Another group of dissenters from England  Faced persecution in England for going against the Church of England (Anglican Church)  Did not want to break.